Historian of The Novel, leading authority on the novelist William Gaddis, and tireless promoter of innovative fiction: Steven Moore’s work is a national literary treasure. 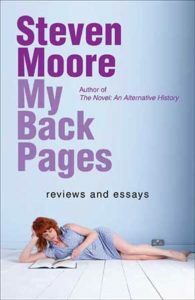 My Back Pages offers a panoramic view of modern fiction, presents a gallery of singular literary artists, and provides the capstone to Moore’s four-decade career. 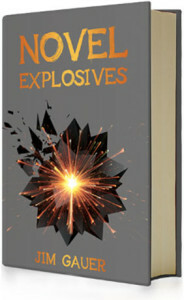 Set against the backdrop of the Juárez drug wars, Novel Explosives is a groundbreaking work, a literary masterpiece that reads like a thriller, propelled by its narrative ingenuity, outlandish erudition, fiendish humor, and a maximalist, syncopated, jacked-up prose style – a joyride of a novel with one small catch: the deeper into the book you go, the more dangerous it gets.